Let’s face it, no matter what you actually believe, people are busier than they’ve ever been and they move 10x faster than they ever have. The generation of young adults out there now is the first substantial group of people who are part of the “multi-task” generation. It makes being in and sustaining a relationship even more challenging. Little things like sweet little notes, little roses, drawings, candy and stuffed animals have all been replaced by devices, more specifically smart devices. 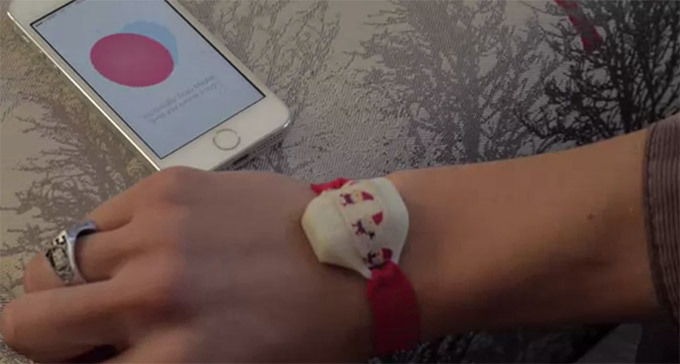 Now a device can be a little sweeter than just a text message. Headtalk, a Techstars Boston startup that has been working on nonverable communication, wearable devices, has created an amazing new device called Magnet that will allow a couple to communicate with each other when there’s no time for words, or even text. Whether the couple are thousands of miles apart or in the same city, there are so many different circumstances that may dictate that verbal communication isn’t possible. Maybe they’re working opposite schedules or a time change has them awake at different times. Maybe they’re heads down in a project and can’t step away for a simple “I Love You”. That’s what “Magnet” is for. 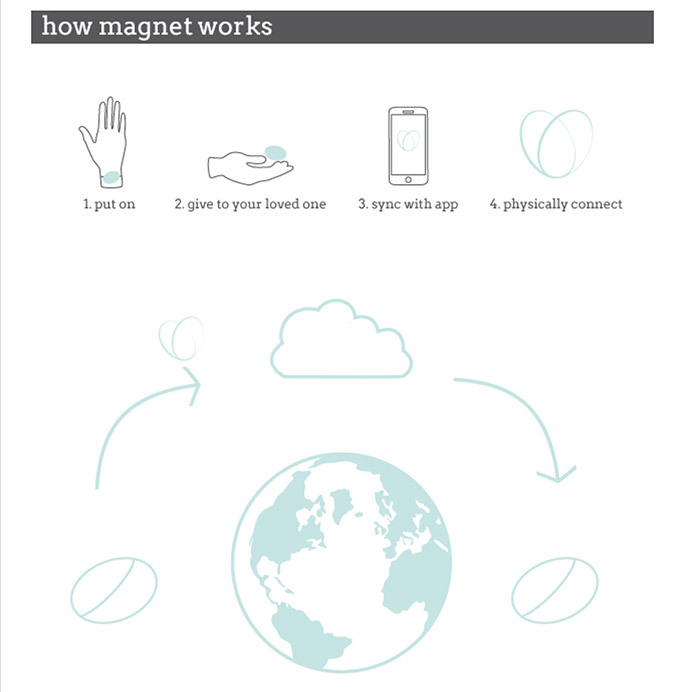 Magnet is a wearable piece of jewelry that can be warn as a bracelet, necklace or even an eye patch, and ships in groups of two specifically for couples. Couples can use Magnet’s vibration and lights to send special “I Love You” messages when words won’t or can’t suffice. The jewelry syncs with the Magnet app and than with each other making communication unique and easy between the two people. The best part is that it can work across the globe and across the room giving people and their relationships a new, unique voice.